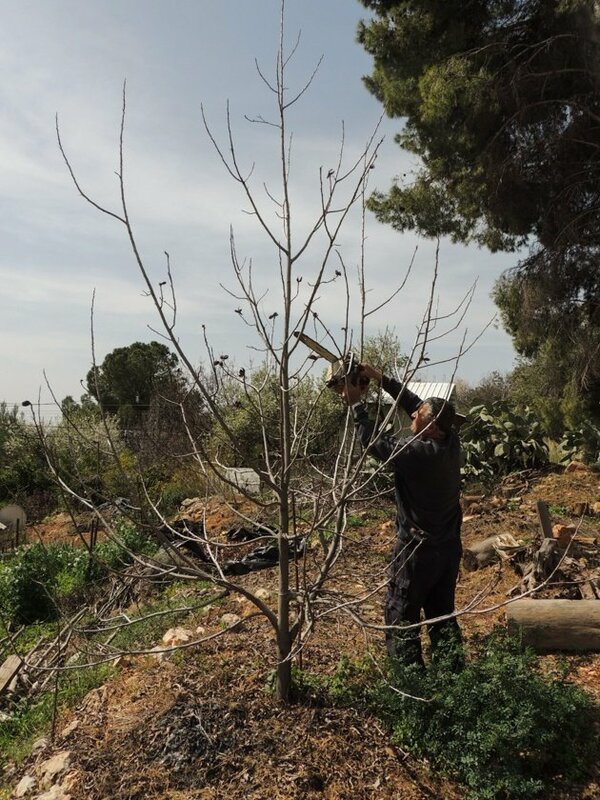 In this post, I’ll share with you how my dear friend who is a farmer (grows olive trees for olive oil production) takes care of fruit trees during the winter by pruning them. I was lucky enough to visit my home country Israel during the winter and watch and learn from this man who has many years of experience. Here is how to prune fruit trees to keep them small! We moved to our country home almost a year and a half ago. One of the things I was so excited about was that in the backyard are a few old fruit trees. We have a pear tree, an apple tree, two pecan trees, and a plum tree. A year and a half ago I knew nothing about those trees, I was just so happy to have them. When I looked at them, I didn’t know to evaluate if they were healthy and producing or how old they were. I noticed that no one had taken care of them for a while but they were so established and big that I figured they will probably produce a lot of fruit anyway. We also found about 100 jars of canned plums in the old shed which led me to believe that I was going to swim in fruit. Then summer came and along with it came a handful of golf ball size apples full of black spots, a few plums the size of a large olive, some pecans that were dusty inside the shell, and a handful of pears that had a thick and bitter peel. After the first season, I started thinking about this whole fruit tree business. Was there a way for me to save those trees or should I not spend my time and just plant a new orchard? I have no way to know how old they are but I would guess 30 years or even older. Can they still bear fruit? I decided to do both. Try to save my old trees since it seems like they still want to produce, and plant a new orchard (which I will do this spring). Thankfully, I have two great fruit tree teachers at my fingertips (both are from Israel). One is Raik, which you probably saw in grafting action in my Grafting Fruit Trees post. Raik has been running his own olive grove for years now. 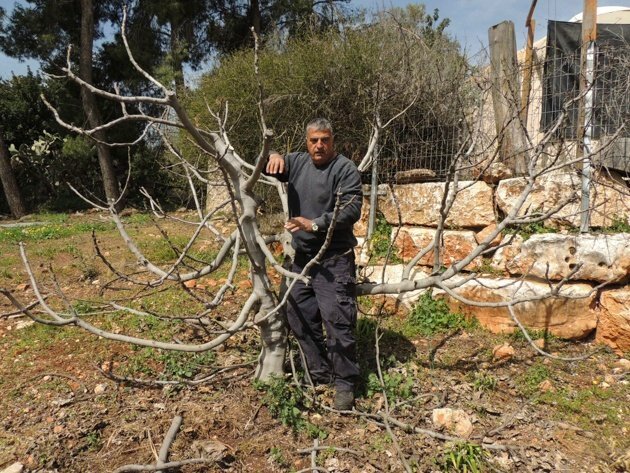 He grows olives for oil production and for the preservation of olives themselves. If you ever visit Israel you’ll notice that we eat olives there like Americans eat popcorn here in the US (there is no similarity whatsoever between the olives or the olive oil you get in the store here and the ones you’ll taste in Israel. Olives alone almost worth the pricey airfare!). My second teacher is my mother-in-law. I am not sure about the exact number of fruit trees she has in her garden, but she is completely self-sufficient when it comes to fruit. She grows everything from berries to lemons. Raik helps my mother-in-law care for her trees. 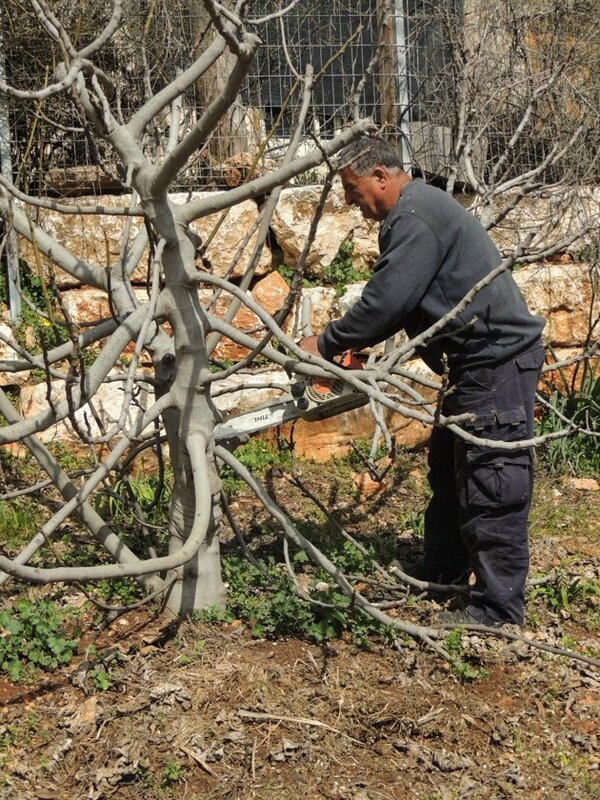 Our last visit to Israel was right during pruning season, so, camera in hand, I joined the action. 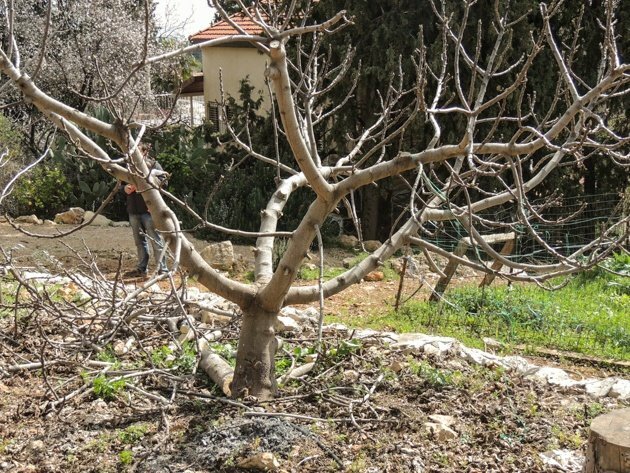 Now it’s time for me to prune my own trees, so I dug up all the photos and put all my thoughts about pruning in one place (this post) so I am ready to go take care of my own trees. Before we start, I’ll take a moment to link to all the great fruit tree information here on the blog. 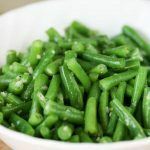 If you are a beginner or if you’ve grown fruit for a while, you can find great information in these posts. 5 Steps For Choosing the Best Backyard Fruit Trees. How to Plant Bare Root Fruit Trees. How to Prune Fruit Trees to Keep Them Small (this post). How to Thin Fruit Trees and Why You Should Do It. 4 Techniques For Grafting Fruit Trees. 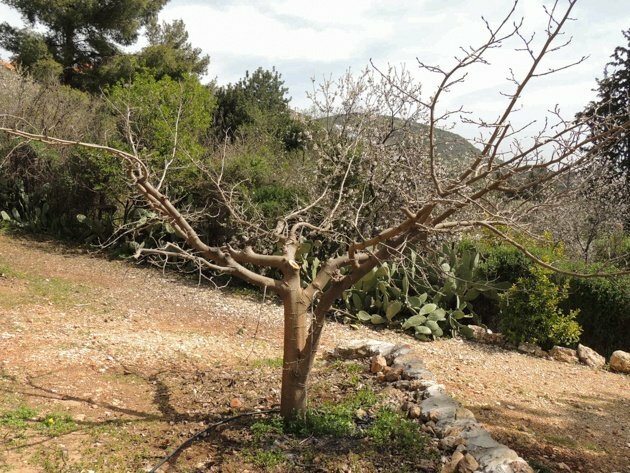 Grafting Fruit Trees – A Step-by-Ste Picture Tutorial. OK, so… Let me show you how a tree that was not pruned for years looks like vs. one that is taken care of every year. Here is the plum tree I have in my backyard. I get a headache just looking at it! Here is my mother in law’s fig tree. You can see the noticeable difference between the two. The first is too tall to harvest without a ladder (not that it’s producing much…). Its branches are thin and there are so many of them. They are all crossing each other and you can imagine how little air circulation there is when there are leaves on it. The second tree, through correct pruning over the years, was kept low even though it is a full-size tree. There are fewer branches, they don’t cross each other, they are thick and healthy and point outward and not towards the center. Even though it might look as if the first tree will produce more fruit since there is more “tree” there, the second actually produces many many times more fruit than the first because it is much healthier. 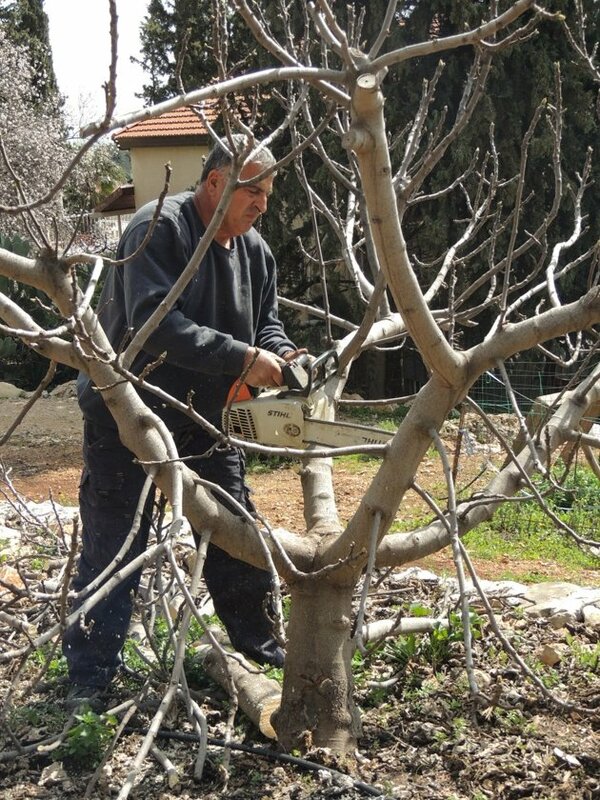 Pruning is cutting or trimming of certain parts of a tree or a plant in order to encourage growth and fruitfulness. In this post, we will talk specifically about fruit trees. You should take away 1/3 of your tree through pruning every year. 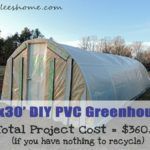 I know this sounds like a lot, but it would benefit the tree and you by helping the tree concentrate its energy mostly on fruit production instead of on unnecessary growth and of course, will keep the tree healthy. In addition, the fruit from a tree that is regularly pruned will be bigger, juicier, sweeter, and healthier. 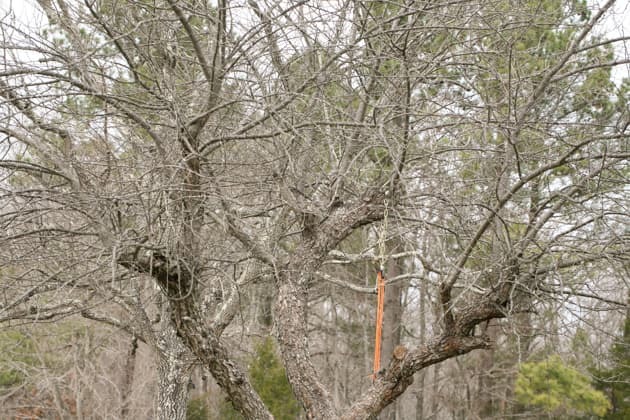 When to Prune a Fruit Tree? When you can see what you are doing and before the tree starts to bud. In other words, during the winter when the tree is asleep and there are no leaves on it. You should prune your trees every year. 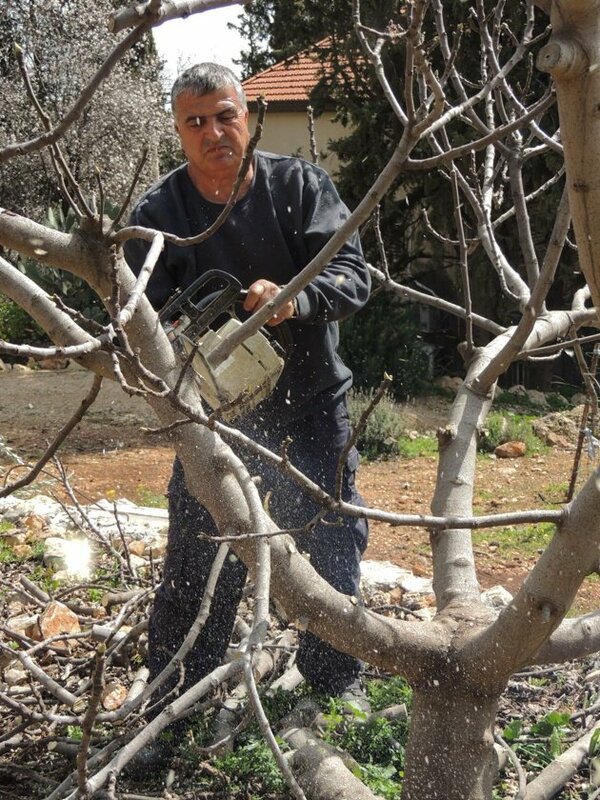 If you do this on a regular basis, it will take only minutes to prune a full-size tree. If you buy a new tree that has some branches on it (like a container tree that is usually sold at local garden stores), you might also want to prune at the time of planting. You want very little branch growth on a newly planted tree. For those trees, the first season should be all about establishing strong roots. Take away 1/3 of the branches so the energy of the tree can be invested in root development instead of in branch growth. Dead or Dying– if your tree has any dead or dying branches, cut those away at their basis. 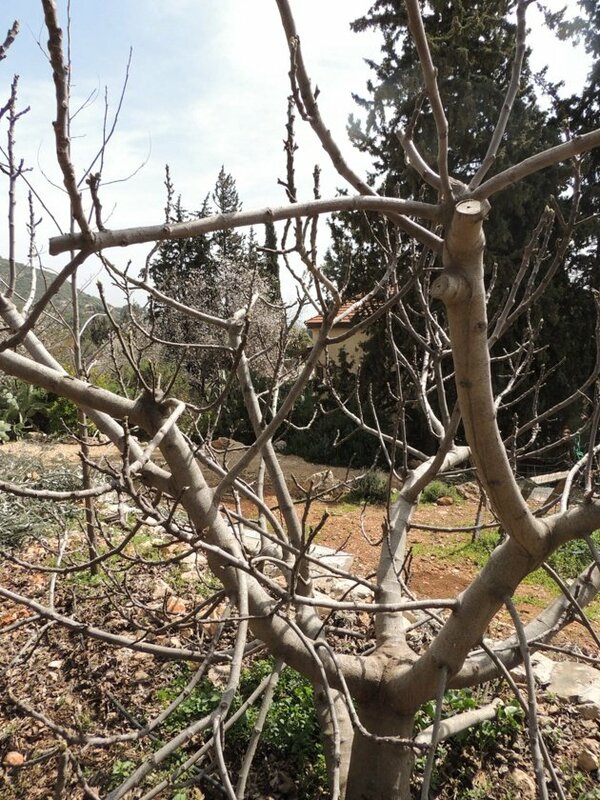 Diseased – think about pruning as a yearly evaluation time. This is a great time to examine your tree closely. If you see diseased branches, remove them. Think about a treatment plan. Is there a reoccurring problem with your tree that you need to find a treatment for? Is there spraying (organic or maybe non-organic) that needs to be done? When would you do it? Pruning is a great time to plan the season ahead. Too High – even full-size trees don’t need to grow high in order to produce lots of fruit. Keep your tree at a size that is comfortable for you to manage. If you don’t want to climb a ladder, then keep it low. Too Low – on the other hand, you want the fruit off the ground. You don’t want the fruit in a puddle of mud and you don’t want your dog peeing on it. So prune any branches that are too low. Crossing – you want to do the best you can to eliminate crossing branches. When the wind blows, the branches will rub against each other and might damage the fruit or the branches themselves which will make them weaker and more prone to pests and disease. Clustering – make sure you prune areas of clustered branches to encourage good air flow. Acute Angles – you want to eliminate those because they make the branches weaker and once there is fruit on the branches they might break. So if you spot a branch in a Y shape, prune one of the top branches. 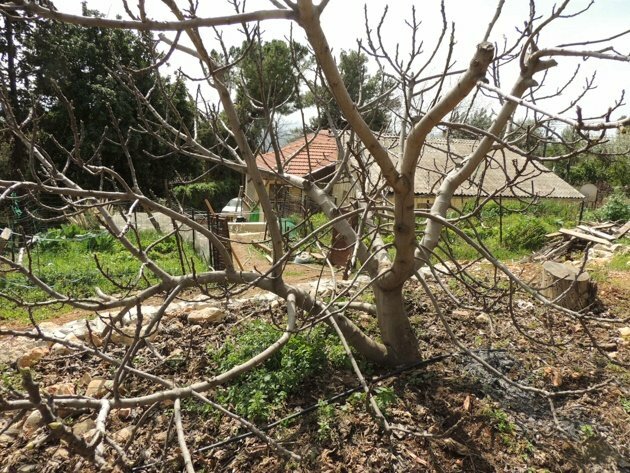 Here is that fig tree before the work has began. I think that it hadn’t been pruned in a couple of seasons. You can see that there are many very low branches, A huge branch that is coming out of the trunk very close to the ground, and a lot of little branches everywhere. First of all, Raik took care of the big branch that was close to the ground. We don’t want two trunks, just one very healthy one. It was hanging very low and it was taking a lot of energy from the main tree so we had to get rid of it. You can usually do most of the prunning with small pruning shears, but when you care for adult trees sometimes the branches are too thick. 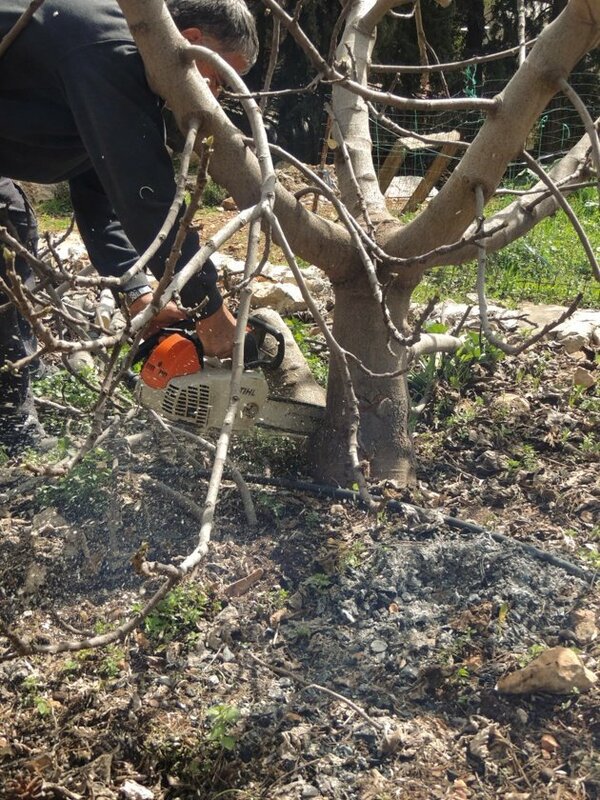 Raik is comfortable working with this small chain saw so that’s what he is using even for the smaller branches. Keep in mind that you want to promote outward latural growth. It keeps the tree healthier, there is more air flow, the fruit is lower and it’s easier to pick and care for the tree. This is a different fig tree, but you can see how we prune lower hanging branches. This tree also had a big branch coming out of the trunk very close to the ground, so we pruned that too. If main branches are growing too tall, we top those in order to keep the tree small and not too tall. Even if you grow a standard size tree, you can still keep it to a size that you won’t need to climb a ladder to harvest or care for it. Lastly, some general thinning here and there. There weren’t any dead, diseased, or damaged branches to prune so we concentrated more on small branches, crossing branches, inward growing branches and so on. I can’t remember what tree this one is, I think it might be a nut tree like Almond or something close. Nut trees have a large trunk that grows very tall. To keep this tree manageable Raik tops it off; meaning he cuts the top of the main trunk keeping it from growing too high. Here is Raik standing by one of the fig trees after he was done. You can see that there is plenty of space between the branches for good air flow, and the tree is kept low so it’s super easy to get the fruit, however, there are no branches on the ground. This is a mulberry tree. Those trees can get so big, but this one was kept rather small so it’s easy to care for it. It still produces more mulberries than you’d know what to do with! With experience, it’s easy to know what branches need to be pruned. But even for someone without a lot of experience like me it was fairly easy to know how to prune my mother in law’s trees because it was done regularly over the years and you can spot quickly the branches that don’t fit the direction of the growth of the tree. It’s hard to figure out where to start! There are so many little branches all over the place! So I will have to choose an area and just go for it. I’ll start with dead and dying and diseased branches. Then I’ll stand back and look at it and evaluate. Then I think I’ll go for inward growing ones and then I’ll just do a general thinning. I’ll have to fertilize those trees and hope for the best. I think the first pruning will be the hardest but once I get it done it will be easier every year. Hopefully. Do you have fruit trees? Any advice on pruning from your experience? Brilliant !! I saw this done at farm venue and was intrigued at the fruit the small tree bore . My dad had a 5 acre piece of land where I grew up , yet the trees were never pruned and mostly they were either too high so the fruit dropped and rotted anyway or the fruit was not good . I recall we had a small apricot tree which was naturally small but had tasty fruit. So guess what ?. Come winter , I am going to prune my fig and plum tree and watch the results . Thank you for a very well made and informative article . You are welcome, Micheal! Your trees will love it. I know it’s scary to cut your tree away, but it will only do it good. Can you prune a citrus tree this same way? We have about 12 citrus trees (Navels, tangelos, kumquats, and Grapefruit) that have never been pruned as far as I know. They are about 15 feet tall or higher and we can’t get up to the top to pick the fruit. They still produce some really big and juicy fruit but since they are ours now I want to do what is best for them. One tree had to much fruit and the limb broke off but there is still enough connected that it is still producing laying on the ground. What do we do to the tree where the limb is broke and when we prune them? Yes, prune the same way. Prune away the broken limbs as well. What you want to do is bring the tree down, so it grows wide instead of tall. Also, when it starts fruiting you want to thin the fruit. If there is a cluster of 5 fruits in one spot, cut two or three away. I know it sounds awful to be doing this but it will relieve the tree of some weight and the fruit you’ll get will be much bigger and healthier. Sounds like you have great trees! It will be a little bit of hard work to get them pruned right the first year, but after that, as long as you maintain them it will be much easier. Though not an expert, I have been told that figs only grow on new growth. I just pruned my fig this year after doing nothing for many years. I was much more aggressive in removing those small spindly branches than you have shown here. It would be fun to compare results this fall. As a certified arborist I can only say don’t do what was done here. Every species has a specific way of pruning. There are many wrong and long term damaging things being done here. Also don’t ever use a chain saw like the man pictured, totally unsafe. 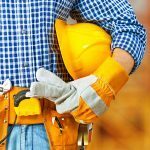 Always wear safety glasses and ear protection. Go to your states Agricultural Extension service and learn the right way to do this. 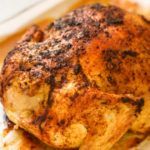 As a NON-CERTIFIED homesteader and a blogger who wants to bring you good content which will inspire you, I can tell you that this has been done for the last 25 years on about 25 different fruit trees that are as healthy as they can be and that bare more delicious, beautiful fruit than we can handle each summer. This is not to say that this is the only way to do this. Definitely, keep learning and experimenting, and find the right way FOR YOU for doing a certain task. cstier is correct, this is just one of a few ways to prune a tree. The correct method depends on the type of fruit tree and the desired goal. The “inverted wine glass” shape presented here is the preferred way to prune many types of fruit trees such as peaches, plums, etc. But some fruit and nut trees (apples for example) need a strong central leader or modified central leader, which is directly opposite of this inverted wine glass shape. Also, the criticism about not using safety glasses, especially when using a chain saw, is for everyone’s own good. If something is being demonstrated that could result in serious injury, it should be pointed out. I think the average Joe can safely use a chain saw. I use one regularly for cutting fire wood, just not as the final cut when pruning fruit trees. I enjoy hearing what common folk like me are doing in the real world. That’s why I read these posts. But it’s nice to have input from an expert who really knows the RIGHT way to do things, and to correct misinformation that abounds on the internet. Let’s not be testy. I have both new fruit trees(peaches, persimmons, and lemons) and 14 ancient ancient (50 to 70 years old) pecan trees. My new trees, I was planning to prune this week (early spring) they just budded and bloomed. My pecan trees are to tall to prune without a professional who can climb trees and really tall ladders. The pecan trees dont have limbs growing anywhere but above my roofline. I have one huge dead limb that will cost $50 to get cut. So I would like to start off on the right foot with the new trees. And (I agree about safety first) I will use our limb hacker and pruning shears to top and cut the crossing and inward branches. How do I get new upper growth if the only limb that produces leave is that spindly one growing out from the bottom? This is on my persimmon. It’s hard to tell without looking at the tree… What’s wrong with the rest of it? Why only that bottom limb is growing green? Is there a worm crawling the rest of it? If so, can you cut it down to the lower limb and graft a couple of new scions there? (I show how to do this in my grafting post).